This is an example of a Hussars Cavalry belt with cartouche pouch and matching Hussars gilt hardware.Cavalry belts come in many versions, based on the dress code of the Regiments that use them as part of their uniforms. 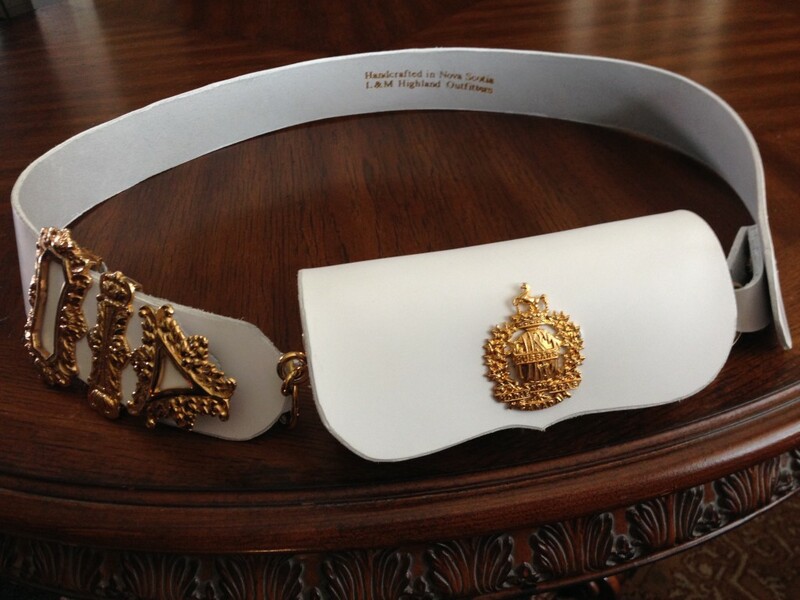 All parts of these belts are fully custom made to the specifications of the Regiment requiring them. Here at L & M Highland we will work with you and your Regiment to ensure historical accuracy in colour, shape, design and finish including all gold braiding of the belting and cartouche pouch as well as the hardware finish and style. These stunning belts are made right on site at our production facility in Dartmouth, Nova Scotia by our highly skilled craftspeople. All leather used is of the finest quality available and the hardware is made to our exacting standards by trusted metal manufacturers to provide you years of trouble free use.